This briefing from the Health and Social Care Academy highlights the potential of participatory budgeting (PB) within health and social care as a method which can be used to enable citizens to have an active say in the way the budgets in their communities are set. The Academy has written an insight paper to highlight this innovative approach and stimulate discussion on the topic. The Health and Social Care Academy been set up by the Health and Social Care Alliance to provide a cross-sectoral platform for transformational change in health and social care in Scotland through the lens of lived experience. One of the 's Five Provocations for the Future of Health and Social Care is 'Ceding Power', which highlights that a shift in the balance of power is needed from statutory bodies to individuals, the community and the third sector. The paper gives an introduction to PB and calls for more effort to involve people on lower incomes and equality groups. 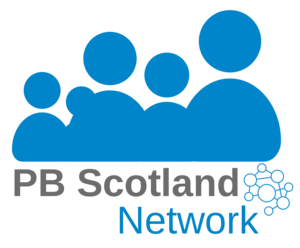 It also suggests that PB should be used in Scotland to enable local people to have more say over mainstream budgets.